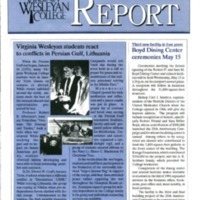 A collection of Virginia Wesleyan College reports issued between September 1964 and June 1993. 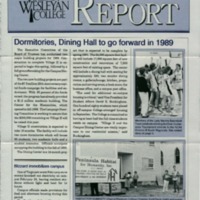 The reports contains news of campus events and existed alongside The Seagull, which was specifically a publication for alumni. 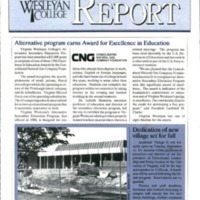 Virginia Wesleyan Reports and The Seagull were merged in 1993 to become the college magazine, Marlin Magazine. 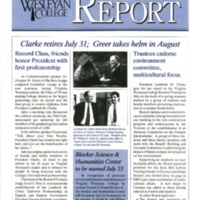 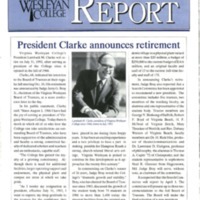 Virginia Wesleyan College Report, April 1992, details the Trustees selection and approval of Dr. William T. Greer Jr. to succeed Clark, and the 1992 commencement plans. 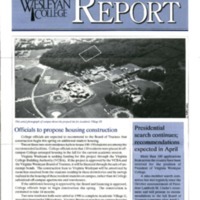 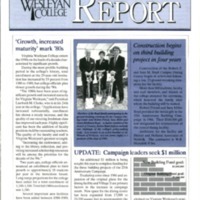 Virginia Wesleyan College Report, March 1992, details the proposed housing construction, the search for a new VWC President, and the Wesleyan Scholars program. 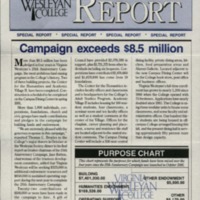 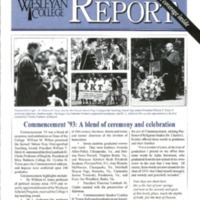 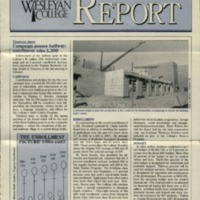 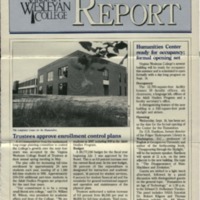 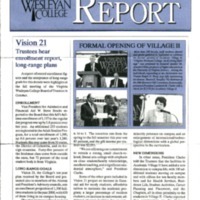 Virginia Wesleyan College Report, June 1991, details the trustees' approval of the budget and building plans, the three new trustees, and details the 1991 commencement ceremony speakers and award winners. 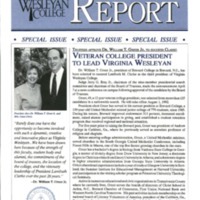 Virginia Wesleyan College Report, Special Issue, November 1990, details the donation campaign's total exceeding a landmark figure, and the impact of distinguished names on campus. 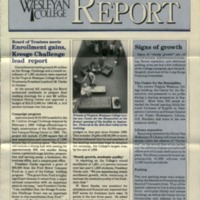 Virginia Wesleyan College Report, February 1, 1989, details how the College met the Kresge Challenge. 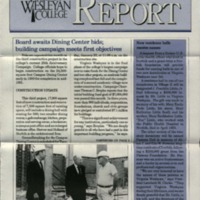 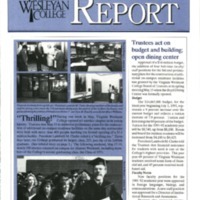 Virginia Wesleyan College Report, December 1989, details the planning update for the Dining Center, the death of Trustee Edwin Kellam, planned giving program expansion efforts, international program expansion, and new residence halls receiving names. 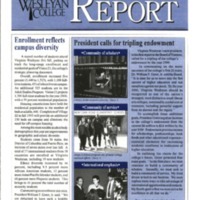 Virginia Wesleyan College Report, [n.d.] details the Board of Trustees' decision to move forward with two building projects, the registrar's retirement, the Friends of Wesleyan Annual Fund goal, Forsyth's resignation, and the aftermath of a blizzard. 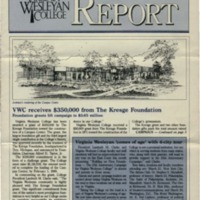 Virginia Wesleyan College Report, March 1988, details a landmark donation from the Kresge Foundation, Professor Graf's travels to teaching approach, Davies' address to Trustees and Advisory Council, and new faculty and staff positions.